The economic cooperation between Japan and Vietnam has grown consistently in the last few years, especially since the two countries established “an extensive strategic partnership for peace and prosperity in Asia” in 2014. Driven by a growing bilateral trade and investments from Japan, especially in infrastructure and energy projects, Japan has emerged as one of the leading economic partners for Vietnam. Japan is the largest official development assistance provider, second largest foreign investor, third largest tourists’ source, and fourth largest trading partner for Vietnam. As of 2017, Japan was the leading foreign investor, with over 2,500 Japanese firms currently operating in Vietnam. Both Japan and Vietnam are part of the bilateral Vietnam – Japan Economic Partnership Agreement (VJEPA) and the multilateral ASEAN – Japan Comprehensive Economic Partnership Agreement (AJCEP). Bilateral trade between the two countries reached US$ 33.43 billion in 2017, up 12.4 percent compared to 2016. Imports from Japan grew by 10.2 percent, while exports increased by 14.8 percent, with each accounting for almost half of the bilateral trade. 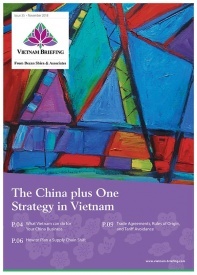 Vietnam had an export surplus of US$ 249.14 million. Vietnam mainly imports machinery, industrial goods, and raw materials from Japan. Machines, equipment, tools, and accessories accounted for over a quarter of the total imports, valued at US$ 4.26 billion, up 2.2 percent compared to 2016. 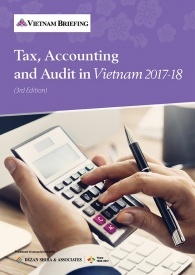 Computers, electronic products, and components followed closely, accounting for 19.2 percent, worth US$ 3.18 billion. In addition, Vietnam also imports cloth materials, petroleum and pharmaceutical products, paper and rubber from Japan. In line with tariff commitments under the VJEPA and AJCEP, Vietnam’s import tariffs for Japanese goods will further reduce in 2018. Under the new import tariffs for 2018, 5,545 products will have lower tax rates, compared to 2017. Under the VJEPA, a zero percent tariff will be applicable to 456 tariff lines, for products such as fats, sugar, construction stones, organic chemicals, wood, pulp, fabrics, pearls, iron, aluminum, tin, hand tools, machinery and equipment, vehicle parts and musical instruments. In addition, tariffs will be reduced by 50 to 67 percent for 2918 tariff lines, 20 to 45 percent for 604 products, and 4 to 18 percent for 1,567 products. Meanwhile, under the AJCEP, 6,201 tariff lines will see reduction and exemptions in tariff lines, which include 3,426 tariff lines with zero percent rate, effective from April 1, 2018. The products include machinery, equipment, tools and spare parts, iron, steel, copper, metals, and articles of iron, steel, base metals, fabrics, apparel, and other articles. As of 2017, Japan is the second largest foreign investor in Vietnam, second only to South Korea. Total investments stood at US$ 49.46 billion for 3,599 projects. Last year, Japan was the largest foreign investor in Vietnam, with investments reaching US$ 9.11 billion, accounting for a quarter of the total investments. Majority of the investment capital was invested into two BOT thermopower projects in Thanh Hoa and Khanh Hoa, worth US$ 5.37 billion. For a long time, the majority of the investments from Japan focused on the manufacturing, infrastructure, and energy production industry. However, in the last five years, Vietnam has also started to attract Japanese investments in consumer goods, retail, and hospitality services. Japanese convenience stores such as 7-Eleven, FamilyMart, and Ministop have already set up their franchises in Vietnam, along with Japanese shopping mall operators such as Aeon and Takashimaya, who continue to expand. 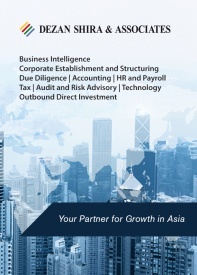 Apart from direct investments, Vietnam has also seen an increase in M&A activities from Japanese investors. According to Stoxplus, a business information provider, Japanese investors conducted 11 Vietnam-based M&A deals in consumer goods and retail between 2014 and 2017. As per Vietnam’s Ministry of Industry and Trade, the retail trade will grow by 11.9 percent in the 2016-20 period to US$ 179 billion. Going forward, Japanese convenience stores will have a first mover advantage, as Vietnam is forecasted to be the fastest-growing convenience market in Asia by 2021, according to data released by the international grocery research organization the Institute of Grocery Distribution (IGD). As economic cooperation increases, Vietnam will continue to be a favorable investment destination among Japanese investors. As per a recent Japan External Trade Organization (JETRO) survey of 654 enterprises in Vietnam, 65.1 percent of firms recorded a profit in 2017, an increase of 2.3 percent from 2016. Majority of the profit-making firms are involved in the processing of exports in the manufacturing and processing industry. 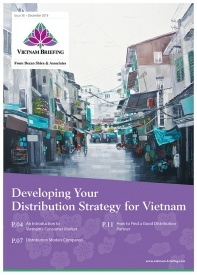 In addition, 70 percent of Japanese firms are planning to expand their businesses in Vietnam, which is relatively higher than regional countries such as the Philippines, Indonesia, and China. Going forward, the manufacturing and processing sectors will continue to attract investments, along with the infrastructure and retail industry. In the infrastructure sector, Japan is considering major investments in projects connecting Da Nang Port with the East-West Economic Corridor, and Cai Mep-Thi Vai Port with the Southern Economic Corridor. 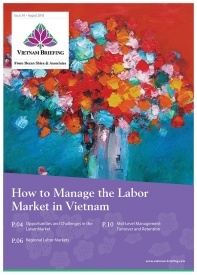 Major factors contributing to increased investments in Vietnam include the easing of investment conditions, socio-political stability, labor costs, and a growing domestic market. However, Japanese investors continue to face issues such as unclear legal framework, complicated tax procedures, underdeveloped infrastructure, and low localization rate. 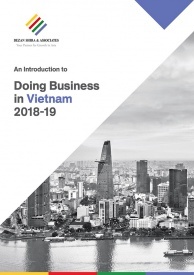 Vietnam has implemented numerous regulations easing the investment environment and has started to increase its investments in infrastructure, and should continue to do so, to maintain its advantage for long.